We’re coming home! 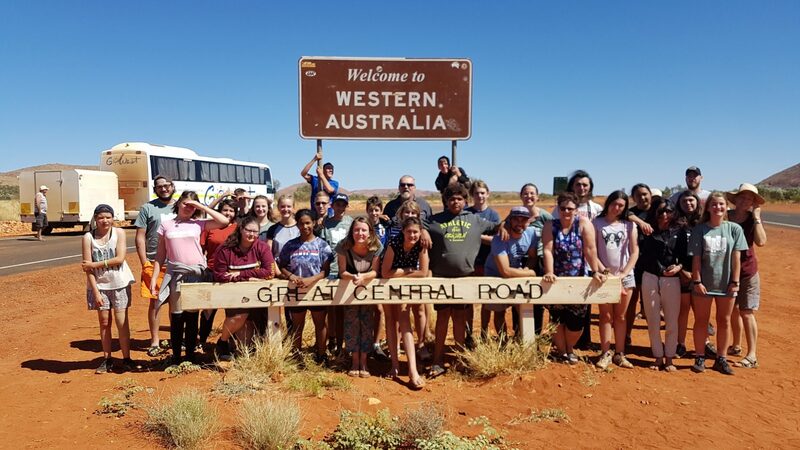 It’s hard to believe our big weekend at Yulara is over already and we’re now heading back the way we came, through the desert and towards the familiar. It was strangely relieving to be on our old faithful bus again and back into the familiar routines of quiet time, games and endless karaoke. 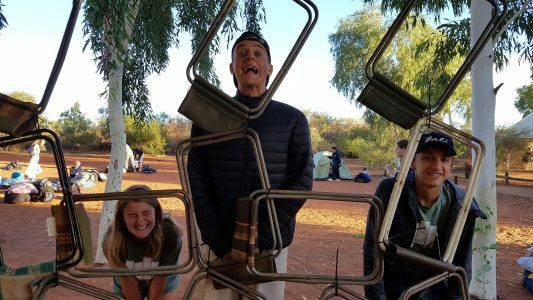 We enjoyed a final morning with the Pilgrims from other states and Base Camp, all together atop a sand dune overlooking Uluru and reflecting on the things we would like to be different as we return to the worlds we’d left behind. We made it all the way back to Warburton today where we had a special invitation to visit the most remote Aboriginal art gallery in the country – opened up out of hours especially for us and including a talk and guided tour from its founder and curator. We were awed by the incredible collection and it’s history. And you can check it out too! Here and here for more info.